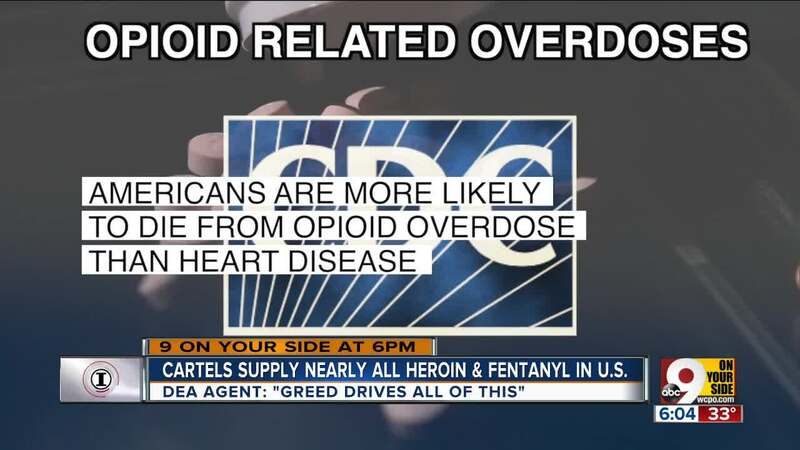 "Greed drives all of this," a DEA agent said. DAYTON, Ohio — Celia Ruiz-Ochoa spent her childhood sleeping on the hallway floor of her family's crowded three-bedroom home in Mexico. In 1986, when Ruiz-Ochoa was 18, she smuggled her 2-year-old son, Sergio, across the border to California to pursue the American dream. Two decades later, after settling in Dayton, the undocumented single mother of nine became the undisputed queen of an international drug trafficking operation that helped fuel the deadly opioid crisis in southern Ohio. Fifty-year old Celia is serving a 210-month sentence at a federal prison in Alabama. Sergio, who took over the family business in 2016, is a fugitive whose whereabouts are unknown, according to Mauricio Jimenez, the assistant special agent in charge of the DEA in the southern district of Ohio. The DEA, along with state and local police, has spent the last dozen years tracking and unraveling the Ruiz family's illicit business. During that time, at least a dozen members of the organization have been convicted of federal crimes and sentenced to a combined 1,032 years in prison, according to the 9 On Your Side I-Team’s review of federal court records. The details of the Ruiz family business are disclosed in hundreds of pages of court documents filed during the last decade. I-Team investigators examined those records and conducted interviews with current and former federal agents, allowing us a rare look inside a major drug trafficking operation and the challenges law enforcement faces trying to shut it down. "The Mexican transnational criminal organizations are the biggest threat to the United States," Jimenez told the I-Team last week during a visit to his office in Columbus. In federal court records, members of the Ruiz family indicated they arrived in Dayton in the mid '90s. In 2002, according to a document Ruiz-Ochoa filed in court, the father of one of her children abandoned her, leaving her family with no income. Her family spent the following winter in a rental home with no heat. Unable to take care of her children, Celia Ruiz-Ochoa began selling drugs in 2005, according to documents provided to the court in her defense. Ruiz-Ochoa, like many other drug traffickers, surrounded herself with family and close friends as she built her business. Expanding more, however, meant becoming a key part of the drug pipeline of a much larger Mexican-based supplier. "Greed is what drives all of this," Jimenez said. "Somebody's always making money off of somebody's misery. Someone's addiction. Someone's death. It doesn't matter." Based on quantities of drugs allegedly distributed by the Ruiz family under Celia's direction, it's possible they handled more than $1 million a week. "It's a business model that lasted lifetimes," Jimenez said. "We're never going to get around it." In an affidavit filed in federal court in 2008, a DEA agent wrote that confidential informants inside the Ruiz operation claimed Celia brought in at least 15 kilos of cocaine every week, plus kilos of heroin. The agent wrote that traffickers used planes, vehicles, mail and human couriers to smuggle narcotics into the U.S.
During their investigations of the Ruiz family, DEA agents interviewed more than a dozen human couriers who said they had ingested up to 500 grams of heroin or fentanyl, then passed the drugs and delivered them to buyers in Dayton. One of the human couriers told federal investigators he had swallowed lethal doses of drugs up to 10 times for the Ruiz family, according a DEA agent's affidavit filed in 2017. Jimenez and retired federal agent Todd Hulsey said the family structure and tight operation of the Ruiz family is common among drug trafficking organizations. Hulsey said international traffickers, and Cartels in particular, "tend to practice very, very good operational security that, frankly, for some organizations rival the operational security of posture of foreign intelligence services." Despite the challenges, Hulsey told the I-Team federal agents have repeatedly used confidential informants inside these organizations to identify phone numbers used by traffickers. "Telephone numbers are one of the major Achilles heels of any criminal organization," Hulsey said. "A lot of information can be derived just from capturing telephone numbers." After a judge approves a request for a search warrant, agents can listen to phone conversations made by drug traffickers and establish a trail of evidence that can provide the locations and identities of key people in the organization, Hulsey said. In addition, the conversations that law enforcement monitors can reveal dates and times that business is conducted, which could help investigators determine the "flow" of business. Once investigators piece that evidence together, they are more likely to build a stronger case and seize larger amounts of narcotics and cash, Hulsey said. 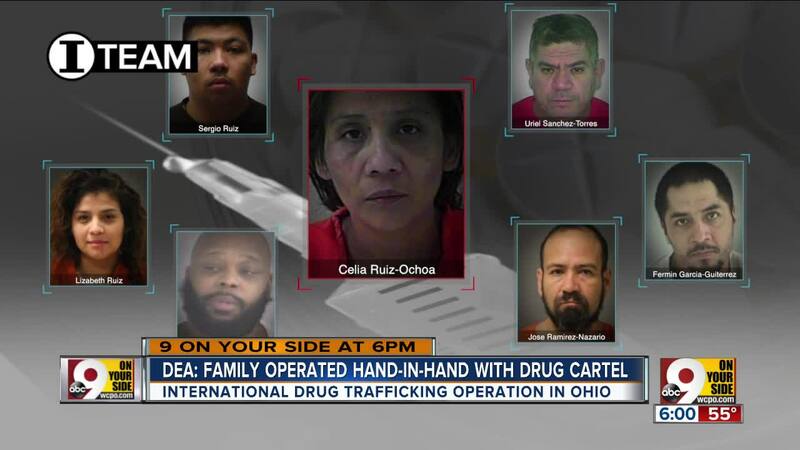 Since 2007, the DEA has monitored phone conversations among members of the Ruiz crime family. The evidence helped convict Celia, her son Sergio, her daughter Lizbeth, her nephew Iban and others. Celia Ruiz-Ochoa is scheduled to be released in 2023. Her daughter, Lizbeth, could get out in 2021. Sergio is a fugitive, according to Jimenez, who told us law enforcement in the U.S. and Mexico is working together to catch him. If captured and convicted, he could face decades in federal prison.